The Burton SC Youth Academy was launched in 2013, to provide an opportunity for the youngsters in the club to further develop their sailing and racing skills. The academy is open to anyone with sailing experience aged from 10 to 16 years old and is run by a team of volunteers with support from the RYA National Race Coaching Team and the Volvo Champion national race squad. Since it's launch, the Youth Academy has become a great social for kids and parents alike, and the team are looking to expand on last year's success through 2018, with events away and more training tailored to introduce young sailors to the wider world of sailing, including fleet, team and match racing. Keep an eye on our news feed for further information. 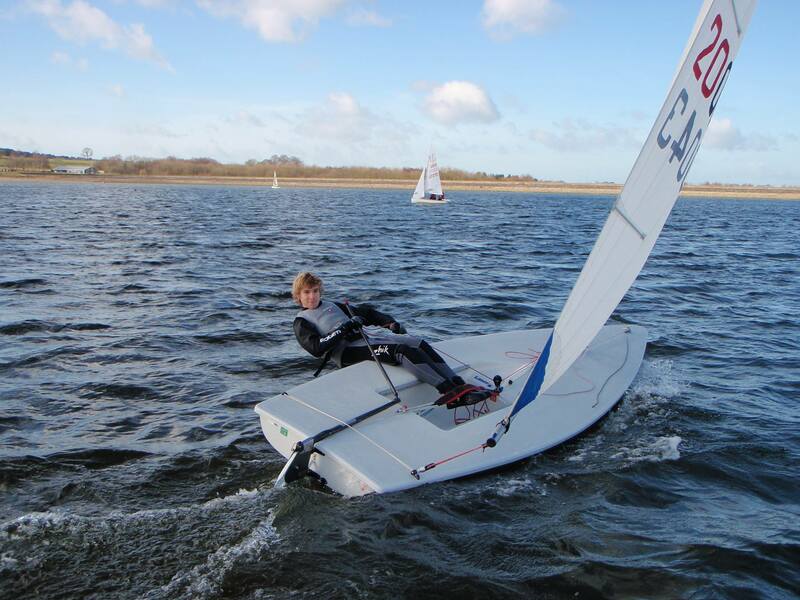 On 5th March, Burton SC hosted Derbyshire Youth Sailing (DYS) in their final training session in preparation for NSSA Double Handed Team Racing event taking place at Farmoor Reservoir on the 19th March. The training event was led by James Hadden (Swarkestone SC and Team GBR Podium Potential Finn sailor), and Zac Bermon and Michael Marshall from Loughborough University. This training event built upon the learning from the previous training event where the sailors gained experience sailing Firefly dinghies in teams of two boats, and started learning team racing tactics. The second training event combined classroom work on tactics and time on the water putting the theory into practice when under pressure in close racing formation. This allowed the teams to develop their skills and confidence in the Team Racing format, particularly with Zac sailing with a number of the sailors to demonstrate various tactics. The two teams representing DYS, including Henry Merton from Burton SC Youth Academy are now looking forward to the NSSA event on the 19th March fully prepared for the excitement of Team Racing at a national event. Supported Learning events are an opportunity for experienced DYS sailors to coach less experienced sailors in small groups or one-to-one sessions to improve their general sailing and racing skills. The event starts at 09.30am with the intent of being on the water by 10am and we expect to finish no later than 3.30pm (subject to weather). The cost will be £10 per sailor. Further details of the DYS events can be found at www.dysailing.org. The plan is for the sailors to meet at 12 noon; choose their boat and be rigged ready to go by 1pm. Given the early end to daylight, we will plan to be off the water by 3pm. This is a first chance of the year for sailors to brush off the cobwebs and remember what the boats feel like.